Music Store - Listen to song samples and purchase Ken's CDs and MP3s here. 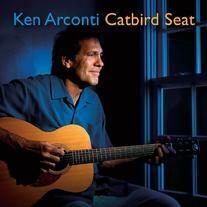 Catbird Seat (2011) is an intimate recording of Ken's solo acoustic guitar playing and singing, featuring 16 tracks recorded live in the studio. 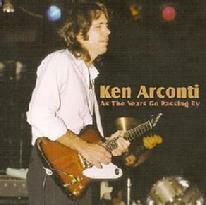 As The Years Go Passing By (2007) features 10 live tracks of Ken's no-holds-barred electric blues, plus three previously unreleased studio tracks. Samsara Blues (2003) is a set of 10 original blues and rock instrumentals with a soulfully sophisticated jazz-tinged edge. Click on the titles below to hear 60 second song samples. You may purchase CDs securely through PayPal. Please select the appropriate purchase option in the drop-down menu prior to clicking the Add to Cart button. Option 1 - Orders shipped within the Contiguous U.S. (48 states) are $15.00 per CD (shipping included). Option 2 - International orders (outside of the Contiguous U.S.) are $20.00 per CD (shipping included). IF YOU WOULD LIKE YOUR ORDER SHIPPED OUTSIDE OF THE CONTIGUOUS U.S. YOU MUST CLICK ON OPTION 2 (INTERNATIONAL) IN THE DROP-DOWN MENU OTHERWISE YOUR ORDER WILL NOT BE SENT. 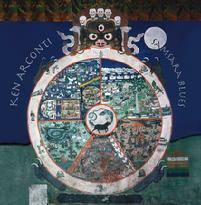 Ken Arconti downloads are also available on iTunes, Amazon, or your other favorite music download sites.